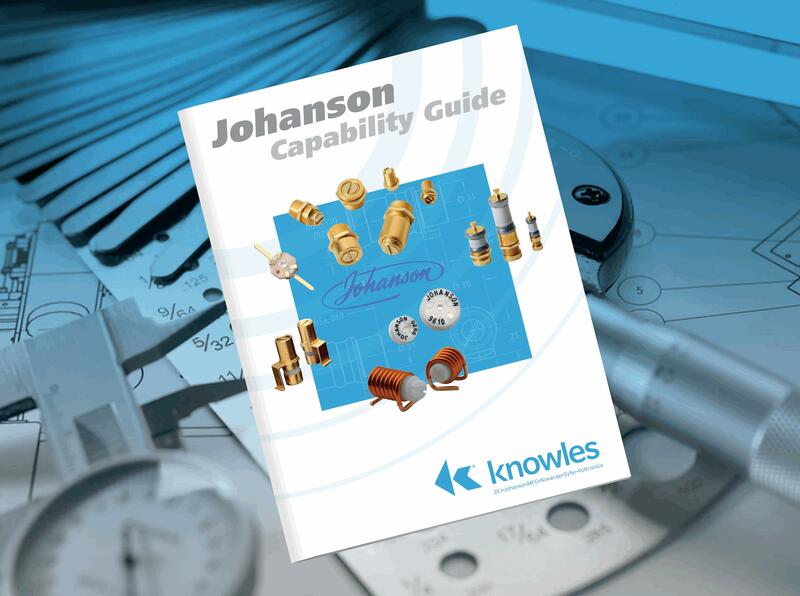 Now available from Knowles brand Johanson Manufacturing is a capability guide outlining their range of Trimmer Capacitors and Microwave Tuning Elements. This new shortform guide provides an overview of the wide variety of variable capacitors available from Johanson MFG for RF and Microwave applications. Of particular interest are the Giga-Trim capacitors, miniature capacitors designed for high resolution tuning of RF power circuits. Giga-Trim caps have a working voltage of 500 VDC and operate at a temperature range of -65oC to +125oC. They offer a long rotational life, insulation resistance of greater than 106 MΩ, with RoHS complaint parts available. Typical applications include impedance matching, crystal trimming and filter tuning. The guide also outlines Air Capacitors, available in a variety of sizes and mounting configurations incorporating a one piece, self-locking, constant torque mechanism, and a selection of Ceramic Trimmer Capacitors, which are available in surface mount, strip-line and through hole lead styles. Note: Dielectric Laboratories (DLI), Novacap, Syfer Technology and Voltronics came together to form a single organisation, Knowles Capacitors - they have now been joined by Johanson Manufacturing. This entity has a combined history exceeding 200 years and is a division of Knowles Corporation of USA, an independent publicly traded company.